Have they launched promising careers as social entrepreneurs? Will we look back one day and say we knew them when . . . they were just two kids with a t-shirt business? Only time will tell, but never underestimate the power of youthful enthusiasm and a field trip downtown. Last spring, Sophie Erlich, 14, of Birmingham, took a trip to the Isaac Agree Downtown Synagogue with her eighth-grade classmates from Hillel Day School in Farmington Hills. There, she learned about the synagogue’s past. There, she also became inspired about contributing to Detroit’s comeback and an urban Jewish future. 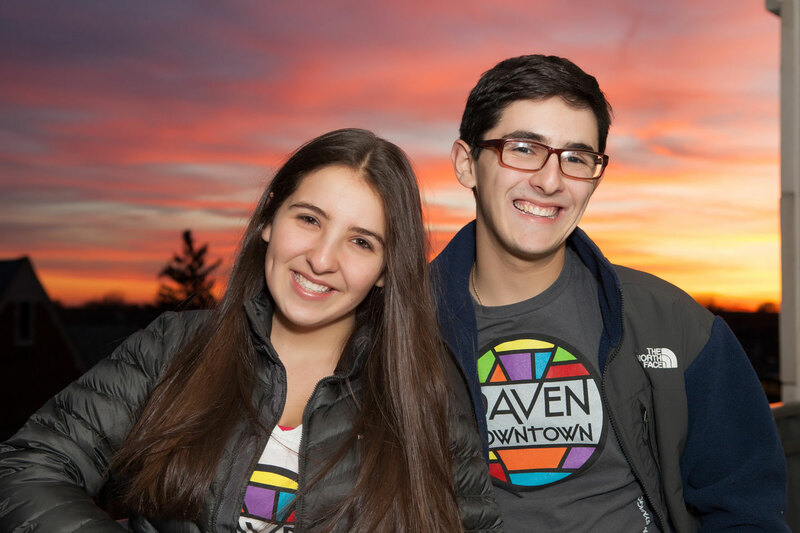 This September, Sophie, now a freshman at Birmingham Groves High School, and brother, Jonah Erlich, 16, a sophomore at Frankel Jewish Academy, kicked off a fundraiser for the Isaac Agree Downtown Synagogue founded in 1921. Their concept: Sell “Daven Downtown” t-shirts and promote via social media. To date, they’ve sold more than 80 t-shirts for $36 each on their website designed by Jonah, www.davendowntown.com. Proceeds go directly to help the synagogue. 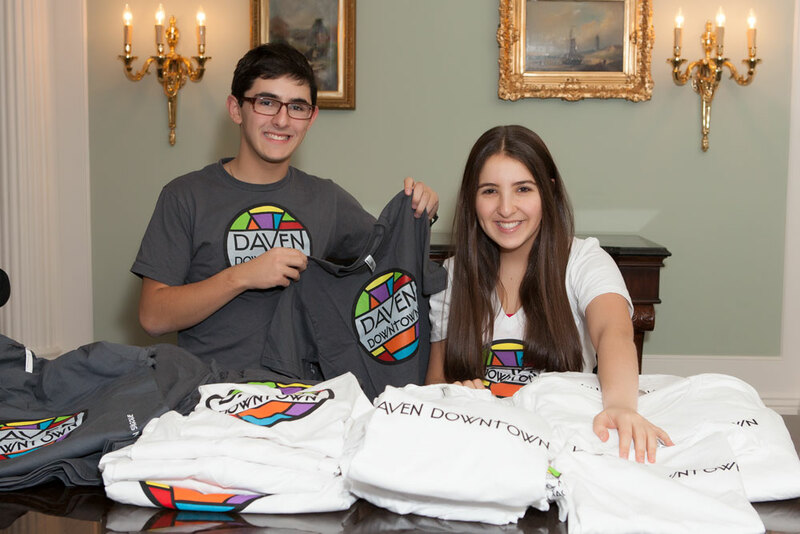 The Daven campaign not only earns Sophie and Jonah required community service credits for school, it’s teaching them valuable lessons in keeping inventories, marketing on social media – in short, running their own business. “I am very energized about the idea of Detroit coming back,” says Sophie, who has friends with older siblings moving into the city. “Detroit is where I hope to live and work when I am an adult and out of college. To create the right vibe for Daven Downtown, they asked Kathy Roessner, a graphic designer at Pulse 220, to donate her talents to create a colorful logo with a “V” in the middle. The t-shirts, printed in Troy, are available in crew and V-neck styles and come in gray and white. Scott Kaufman, Federation’s Chief Executive Officer, for Daven Downtown on Vimeo. 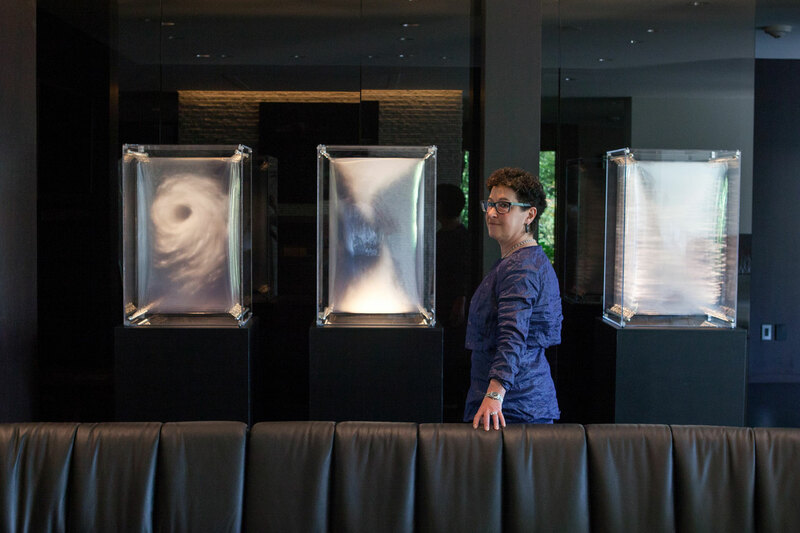 Anna Kohn, Executive Director of the Downtown Synagogue and one of only two paid staff members, said the excitement and entrepreneurship of the teens toward the synagogue proves that young people can make things happen when they are passionate about a cause. “We were looking for a way to merchandise, and they beat us to it,” she said. Kohn said she has used the logo on the synagogue’s website at www.downtownsynagogue.org. The egalitarian Conservative synagogue’s Facebook page has 1,000 fans. It also distributes a newsletter with a circulation of 1,600, informing congregants and the general public about weekly Shabbat services, a Thursday morning minyon and a variety of programs that provide social outreach for Jewish urbanites and those just curious about Judaism. Having recently restocked their inventory, the Erlich siblings plan to escalate their campaign selling the t-shirts through area synagogues and Jewish youth groups. Future plans? Their studies are their priority now. With his academic interests in literature, math and “some” science, Jonah has discovered new skills in business and thinks about a social entrepreneurial enterprise some day. 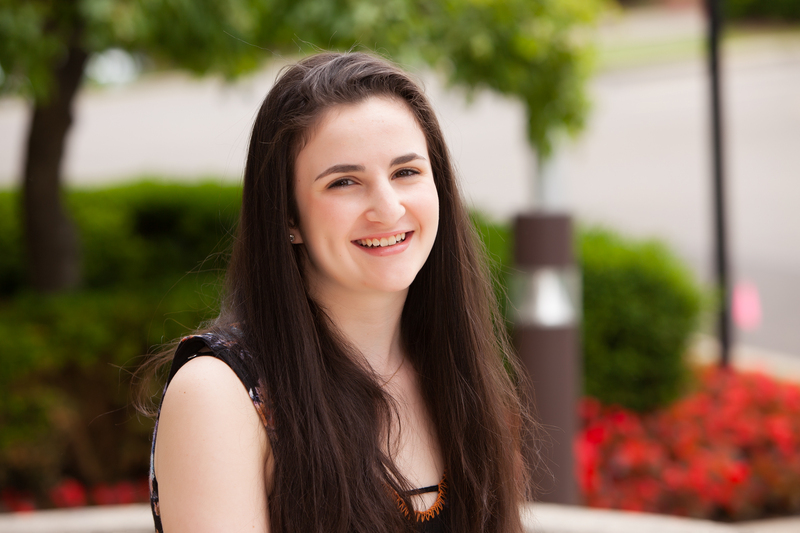 “Jonah reads, I write,” says Sophie who plays the guitar and piano, and loves all things theater and music. What’s next for Daven Downtown? Once the t-shirts are sold, the plan is to transfer the enterprise and the brand to its rightful place: to Detroit’s Downtown Synagogue. Feeding Our Need to Read. Federation partners with agencies and service providers to launch community-driven campaign, "We Need to Talk"